Disclosure: I was invited to Cedar Point for Mom Blogger Day. I and my family received complementary admission, parking and lunch. We paid for transporation. All opinions are my own. It is said that Memorial Day is the unofficial first day of Summer. So it was fitting that I and my son spent part of the Memorial Day holiday weekend at our favorite summertime hangout out - Cedar Point Amusement Park in Sandusky, OH. 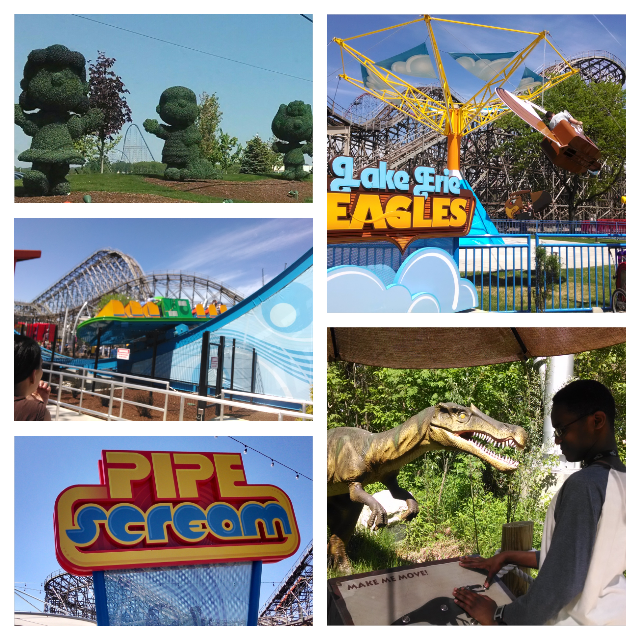 On Saturday, my family was part of 50 families that were invited to Cedar Point for their annual Mom Blogger Day. This is my 3rd time attending a Cedar Point Mom Blogger Day event, but I have been going to Cedar Point every year since I was a kid and my son is just as in love with going to Cedar Point as I am. Cedar Point is best known for its very large number of roller coasters and my son and I are total roller coaster lovers - with us the taller and steeper the roller coaster the better. Our favorite coasters at Cedar Point are The Maverick, Millennium Force and last year's newest ride, The Gatekeeper, which I could ride everyday all day. But not everyone is as into roller coasters as we are. 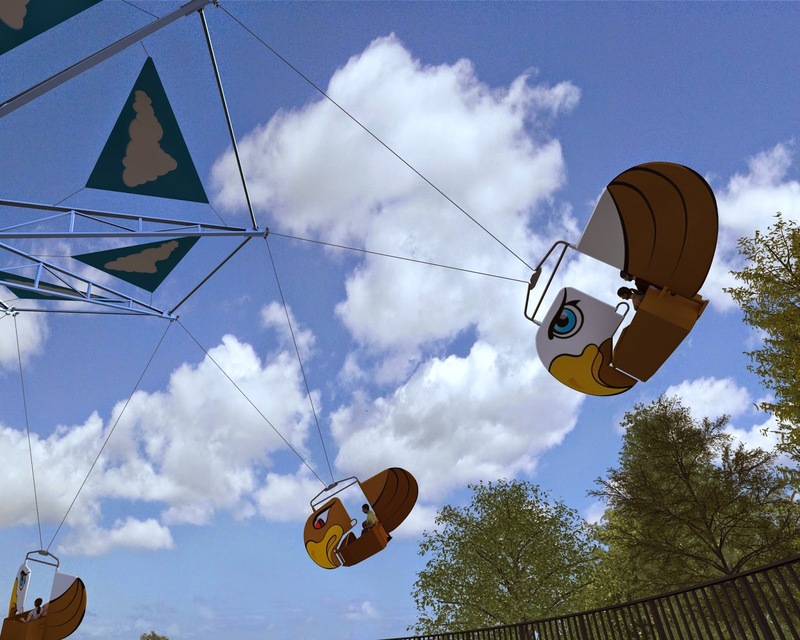 So it is great that this year Cedar Point has introduced two new family-friendly rides that kids and adults will love - Lake Erie Eagles and Pipe Scream. 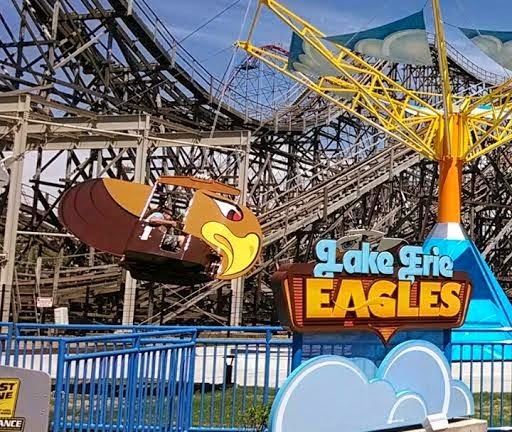 Lake Erie Eagles is an update of a very classic thrill ride where 8 riders are suspended from Eagle chairs that are 28 feet in the air to spin round and round while navigating some of the spin with a hand steer. Pipe Scream is a cool ride for the whole family. Pipe Scream is a thrill ride that will rock and roll you on over 302 feet of track, flying 43 feet above the midway at 43 mph! Everyone loved this ride, including me. 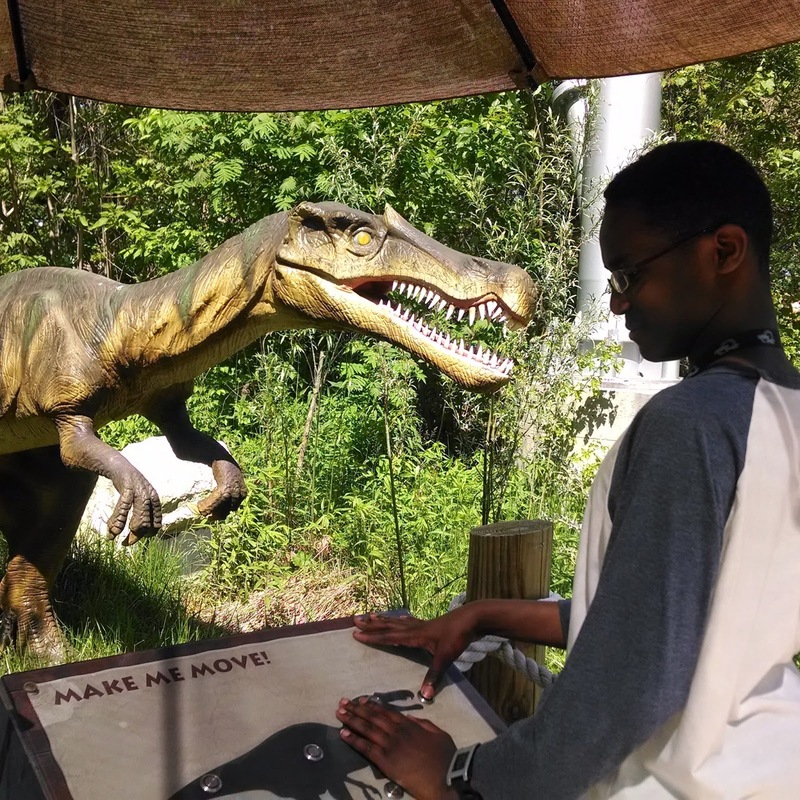 At the end of the day, my son and I took a break from roller coasters and thrill rides to check out Cedar Point's Dinosaurs Alive! attraction. My son is totally into Dinosaurs since he has seen the arena version of "Walking with Dinosaurs" at Detroit's Cobo Arena and the science show "Dinosaurs Unearthed" at Detroit's Michigan Science Center. 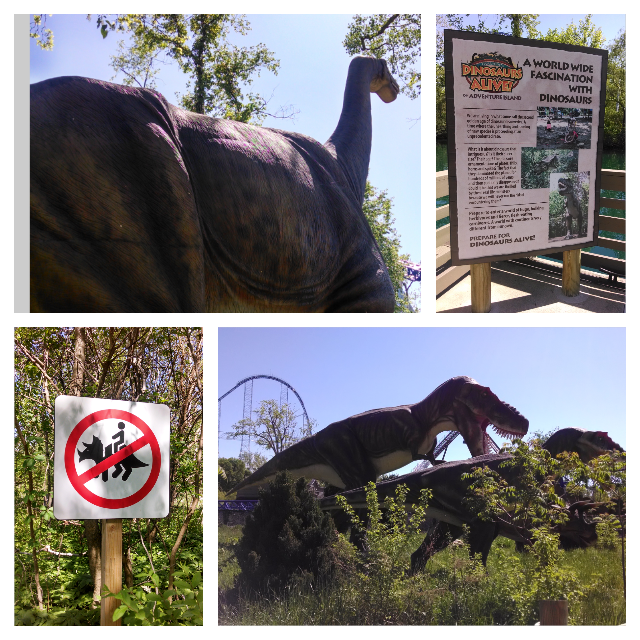 Cedar Point's Dinosaurs Alive! is a walking path filled with huge, hulking herbivores, and fierce, flesh-eating carnivores. Some of the dinosaurs are animated, but not all. Along the path are signs with lots of information about the different dinosaurs - from when they lived to how they lived. This attraction is perfect for children and those who like their excitement a little slower and more educational. Admission to Dinosaurs Alive! is an additional cost on top of your park admission. My son and I had a blast at Cedar Point and we have decided to come back again before the end of Summer to do it all again. There is nothing like bonding over awesome thrill rides and attractions. So don't you wait until the end of Summer to make your way to Cedar Point. 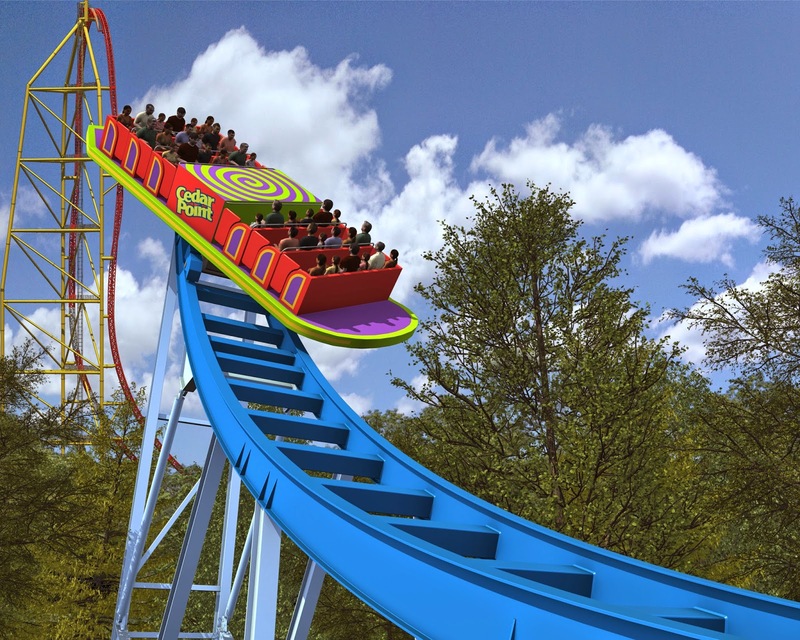 Whether you are a roller coaster fan or someone that likes their rides closer to the ground, all the awesome attractions at Cedar Point are totally worth the trip.